To be fair, a more appropriate first question would probably be “was Sailor Mercury supposed to be a cyborg?” but that can be solved with a simple yes or no answer, so it’s better to not make things so simple. However, that is a very good (and astute!) question, and the one which we’ll answer first. So what is this talk about Ami being a cyborg, anyway? 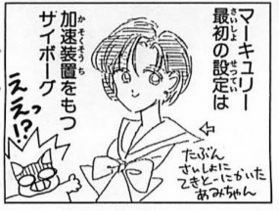 Well, as Ms. Takeuchi outlines in her liner notes,1 Ami (or Sailor Mercury, since the character of Ami Mizuno probably wasn’t fully developed at that time) was originally meant to be a cyborg. Making matters worse, Ms. Takeuchi’s original intention was for this Cyborg Mercury to be destroyed at the end of the Dark Kingdom arc and have her die off (though this idea was ultimately taken up in the shocking end of the first arc in the anime). Fortunately for us, and for the rest of the Sailor Moon lore, her editor Fumio “Osabu” Osano objected strenuously against this idea for, well… multiple reasons. Of course, the series was intended to be a shojo manga for girls and obviously you’d want to avoid really dark scenes like the death of a character. Robots also (at least at that time) seemed oddly out of place. One of the biggest reasons, though, seems to be that Mr. Osano seems to have taken quite a liking for Mercury from the beginning and is a self-professed Mercury fan even now.2 In fact, Ami’s character design is even based on the source for his Osa-P/Osa-Bu nickname. So while all of the characters were spared in the manga, it turns out things took a turn for the worse and, in a strange turn of fate, the anime producers decided to kill off all of the Sailor Soldiers in the anime (an oddly dark turn for the worse for a series meant for such little kids and their families). The irony wasn’t lost on Ms. Takeuchi, however. 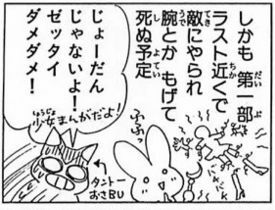 It’s definitely interesting to see what a dark turn the manga was originally supposed to have taken and, had her editor not interfered, how different the Sailor Moon series could have turned out to be. 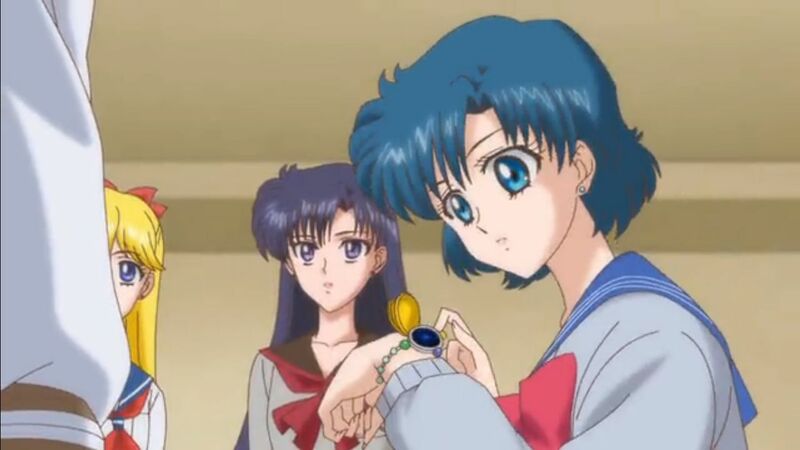 Though Ami was ultimately spared from being a cyborg, she did keep some of the original ideas for Ami in tact, such as her being cool and logical, her high IQ, and her affinity for computers. To be honest, I definitely prefer it this way – I can’t imagine the story being remotely the same with robots running around! – but do kinda wish she would’ve elaborated more on what her ideas were! Read also: What is the Origin Behind Sailor Jupiter's Attack Pose? ← Why Does Rei Throw Her Ofuda at Enemies? Gotta love how he went from saying that to letting Naoko kill off almost everything for Stars, lol. I’m happy with how things turned out instead (and at least it got to happen in the anime! …with a revival), but it would’ve been interesting seeing how Naoko’s original ideas would’ve played out. This is one of those times where I wish I could peer into an alternate universe to see, but then come back to my own afterward. I’m not so sure if Osabu turned around and gave her free reign, or if she just stopped caring since she was going to end the series anyway. =p She may have just said “Eh, screw it… I’ll do what I want!” I don’t know the details, but judging from the self-published “Sailor Moon Infinity” artbook, it sounds like Ms. Takeuchi and Kodansha had a bit of a falling out for a few years in there. I really need to take a closer look at it, though! Thanks for the kind words! I’m glad this blog is of even some interest to other people out there, since I know it’s definitely opened up my eyes to a lot about the series I thought I ‘knew everything about.’ After being a fan for ~18 years (started watching the show in 1998! ), I thought there was nothing else for me to learn about it. I’m very happily proven wrong – several times a week. That’s impressive! I can’t recall the exact year I started watching the show, but I do know I’ve been a fan since pre-school. (I’m going on 23, now!) The fact that there’s still so many things to learn even now really excites me. Keep up the good work! Exactly! The more of a success she became, the less bargaining she needed to do to keep her manga in the magazines. I’m really glad that she got that creative freedom near the end, since she really seemed to play around a lot with the world and mythology as Sailor Moon progressed. I definitely need to take a look sometime into the story behind the “falling out” I heard about. Hard to separate facts from rumors even now, much less for pre-internet stuff! It explains why the quality seemed to improve with each story arc, for the most part. And I am too! If she didn’t play around with things as much, I don’t think I’d be as big of a fan. Thanks for the heads up on where the information of the falling-out with Kodansha came from! I knew I heard about it before, but I couldn’t recall where I heard it or what the reason was. I’ll probably see if I can find the original source for it, or more information elsewhere, though. Seems like she and Kodansha are pretty buddy-buddy again! No problem! 🙂 All I could remember was something with one of Naoko’s other mangas, and Google helped me discover which particular one it was. It’s good that she and Kodansha are on good terms again! Still such a shame about what happened though. It sounds like PQ Angels was on its way to becoming her next hit! PQ Angels was definitely an… interesting series. I’d love to know where she planned on taking it, since it’s kinda hard to judge it without having the full story, you know? Kinda like if you were to try to fully grasp the story of Sailor Moon with only a few of the first acts to work from. I’ll definitely look into picking up the essay manga, though. Sounds like a good read! She reused that idea when she made Sailor Saturn a cyborg, didn’t she? I’m glad it got used with her and not Mercury; that sci-fi twist is one of the things that make Sailor Saturn my favorite. * Thanks for the info! Ami being a Cyborg reminds a bit of Kamen Rider, which could have been the inspiration. Who would have done that to her anyway? But I found applying it to Hotaru felt unnecessary and tacked on in the long run. In that it was just brought up and then forgotten about. Plus it was rather overshadowed by the whole possessed by an extra-dimensional Lovecraftian being stuff. I’ll be honest. I’m not really the biggest fan of Naoko’s writing. She had interesting ideas, but the execution for me often left a lot to be desired. And Crystal rather highlighted a lot of those flaws in my opinion. 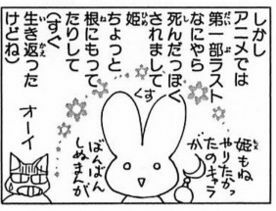 She tended to let a lot of the cast go underdeveloped, which was a problem with the manga’s pacing. And then there was her inability to write half-decent villains, which resulted in quite bland black and white scenarios. I just feel her work could have used a few more drafts and refinement. I’m actually one of the few people who doesn’t really care much for Stars. Mainly because I found it frustrating and unfair how all the Senshi/Mamoru got reduced to canon fodder in what was essentially the grand finale. Well, the anime’s Stars was no better in that regard. I still can’t believe they had the newly-introduced Starlights be the last ones standing before it was just Usagi alone – that just felt wrong. I have to agree here. I know that they were really pushing the new characters of the season (Chibi Chibi, the Starlights, etc. ), but having them take such a prominent role over the Sailor Soldiers that had been at Usagi’s side for nearly 5 years… that was wrong. I think it’d funny if there was a match between cyborg Ami vs. cyborg Hotaru. I’m glad they didn’t make Ami a cyborg. 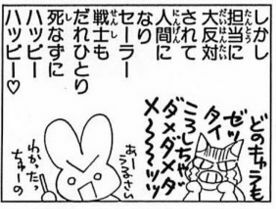 Thanks, Editor Osabu. I think it could’ve been an interesting plot point, but Sailor Moon would have been a MUCH different series! Just the idea of a cyborg Ami getting all her limbs ripped off before dying makes my heart hurt. Given how Naoko seemed to revel in drawing gory death scenes for the baddies, I shudder to imagine how that would have ended up looking. This could have been pretty cool actually. I imagine it could be a Kamen Rider kind of thing where she would rebel and escape Beryl?